For those of you following Kadian's Geotag caches - here is the latest . . This tag was placed in Gilbratar in December 2013, by Kadian's cousins and as of today has travelled 570 miles and was last seen in Niedersachsen, Germany on the North Sea Coast. We've just listed the cities its touched base in, but there have been about twenty-five more people involved in moving it along. We have Kadian found at a really nice place and take him now for the first time with our holiday on the beautiful island of Borkum and try to find a nice new place for his onward journey. A really nice idea, so someone to keep in mind. We wish you much strength at all times. 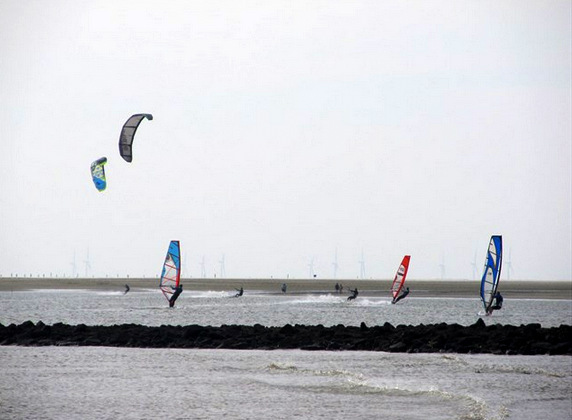 08/04/2014 Seen on an event on the north sea island Borkum, good journey! We saw the Tag at an event on the North Sea beach - warm and soft sand with a gentle coast due to tidal changes and a sandbank keeping off the bigger waves. A place with lots of tourists and beautiful sunsets! Thanks for sharing, have a safe journey!